The camping site for trekkers. 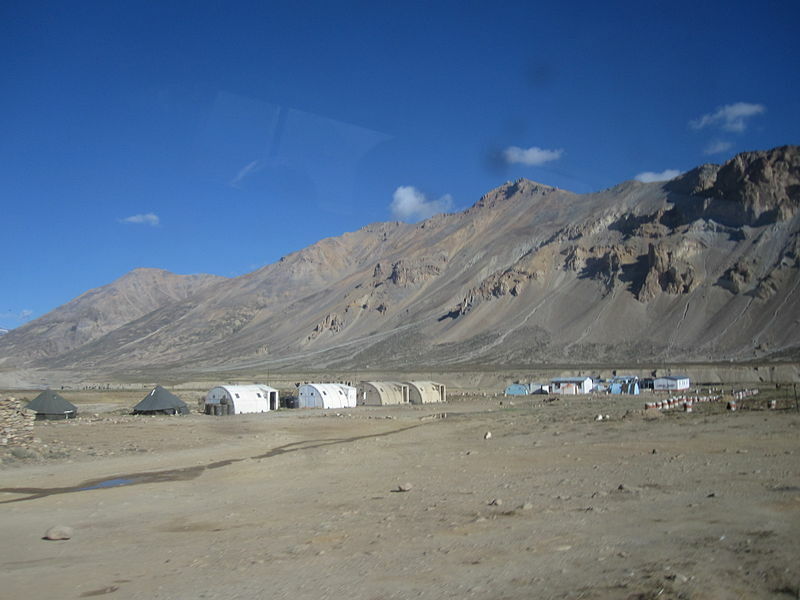 Basically a camping site of the Manali - Leh trekking sector, Sarchu falls in Himachal Pradesh at the height of 4523 meters. The small town has neat facilities of camping sites providing all the required facilities to fight the biting cold weather. The place also offers breathtaking views of the snow capped mountains around Sarchu gives an opportunity to view the unspoilt natural beauty of the mountains and the surrounding nature.